BEAUTIFUL MOVE IN READY CUL-DE-SAC HOME in a quiet neighborhood with too many amazing features to talk about: rocking chair front porch, open floor plan, high ceilings, hardwood floors, plenty of windows letting in natural light and more! 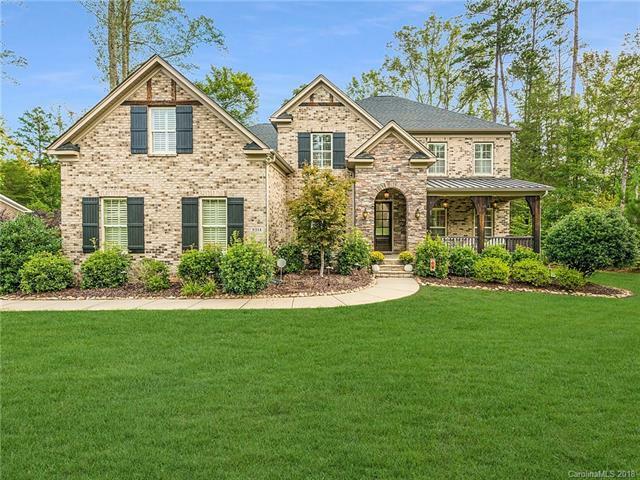 Gourmet kitchen equipped w/ granite counters, SS appliances, wall oven/microwave, custom vent hood, backsplash, walk-in pantry, butlers pantry, & breakfast area open to living room. Luxurious Main Level Master Suite w/ two walk-in closets & private screened-in porch and fireplace. Spa-like Master Bathroom with double vanities, glass shower, and garden tub. Two bonus rooms. Loft with built-in desks. Large laundry/mud room w/ extra storage options. Spacious 3 car garage. Deck overlooks a wooded and private backyard. Great community features as well. Conveniently located to Downtown and 485.